Are You All Set for Your Child with Special Needs? 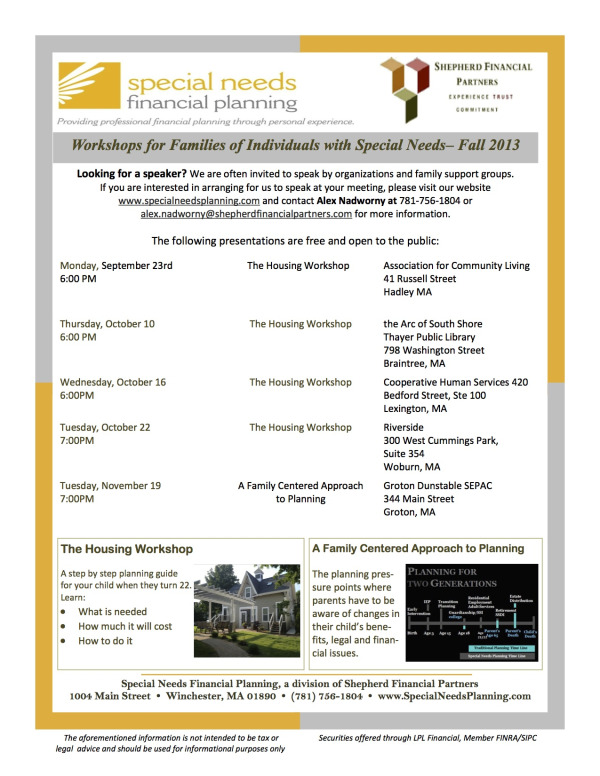 We have a planning process for our clients who have dependents with special needs. Use this checklist, Are You all Set?, pictured on the right, to see where you stand now. Recognizing that every family situation is unique, we have found through experience that a step-by-step approach works extremely well. 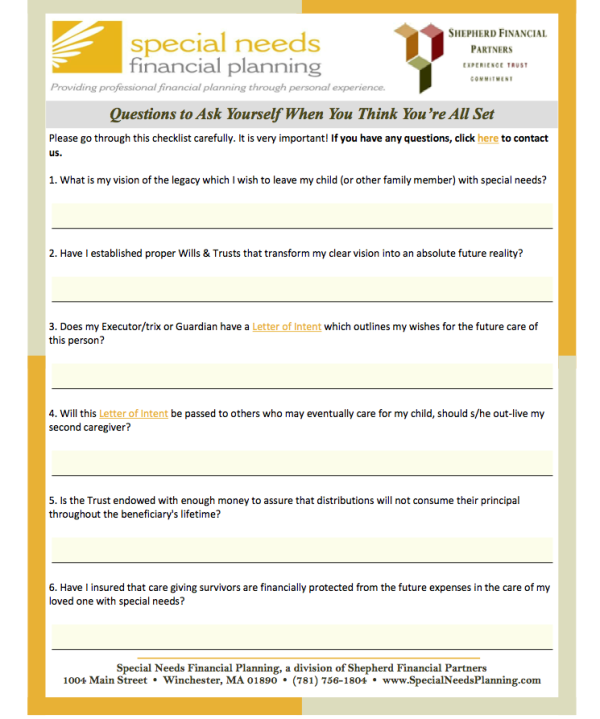 Step 1: We work together with you to help identify and prioritize your family's objectives and goals. Step 2: We analyze your present financial situation with respect to these goals by reviewing family resources, legal documents, investments, insurances and other related matters. We determine if you are taking advantage of any and all government resources, if you are eligible. Step 3: We recommend steps that seek to maximize and protect both personal and public resources. Step 4: We assist you in objectively and securely implementing your plan. When needed, we actively associate with numerous private and public agencies, professionals, and service providers as part of our planning process. Step 5: We periodically review and revise your plan as required by changes in personal circumstances and external environments. We believe that you have read this far for a reason and we hope the above and the other resources on this site are useful to you. Should you have any questions or input for us, or personal experiences you would consider sharing with us, we would like very much to hear from you. We are always working to expand the information we offer on this site and would welcome your input and suggestions.